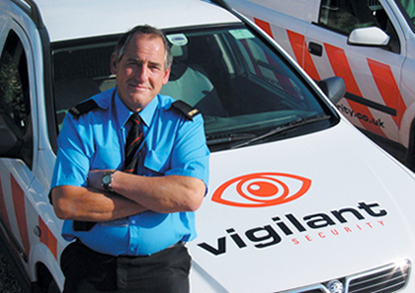 Established in 1995 by Jon Allen Vigilant Security puts great store by quality and integrity, and provides superior security guard services in Somerset and Dorset. Effective security can make all the difference to the smooth and efficient running of a successful Business. It can also be a weight off your mind as a Home owner. Experienced, trained and motivated guards using up-to-date equipment (guard dogs included!). Competitive hourly rate with attractive incentives/terms for contracts taken out over 6 or 12 months. Advice on how to minimise your security risk and reduce ever increasing insurance premiums. Total commitment to all your security needs.